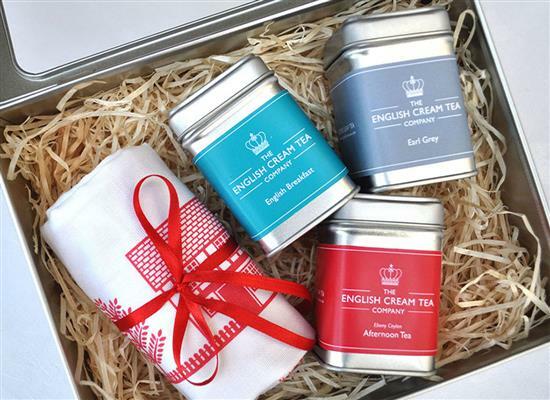 Contains 3 tins of assorted, premium and delicious tea offered in pyramid tea bags (five per type of tea) plus one lovely British-made limited edition designer Tea Towel. This gift comes packed in a useful Tin (perfect for home made cookies and cakes), wrapped and sent via Royal Mail, first class. 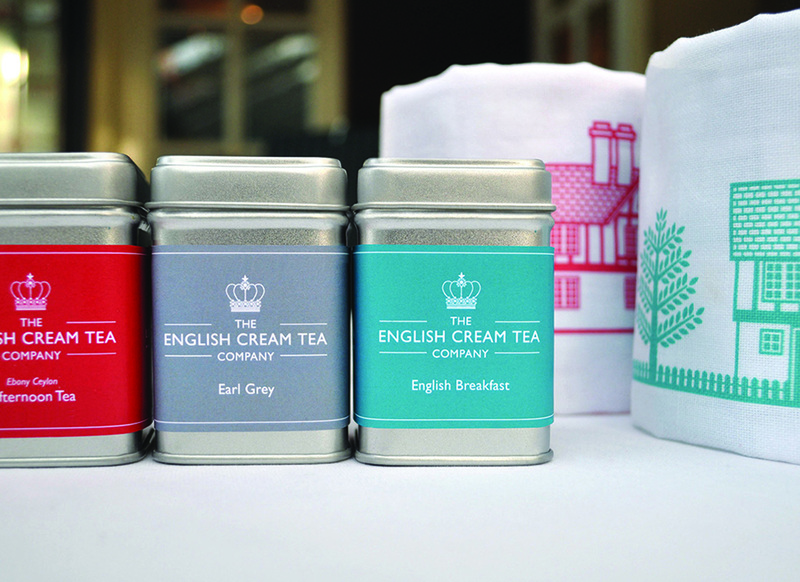 WAS £30 and now £26 - so that's a great reason to put the kettle on! AFTERNOON TEA WITH A HINT OF CITRUS: A blend of black teas: Borengajuli (Assam black tea), Kosabei (Kenya black tea), Lime Leaves, Lemongrass and Lemon Verbena. EARL GREY TEA: A blend of black teas from Sri Lanka with Cornflower Petals, Natural Flavours (organic compliant). ENGLISH BREAKFAST TEA: A blend of black tea from India, Kenya and China. 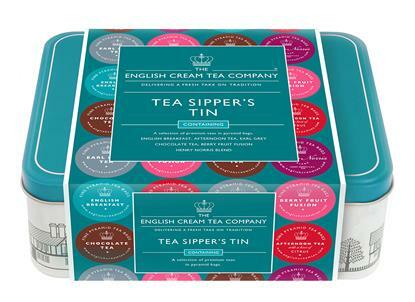 Such a pretty gift tin filled with 6 different types of tea, all in pyramid tea bag form. 36 tea bags in all filled with high quality tea. A taste adventure!